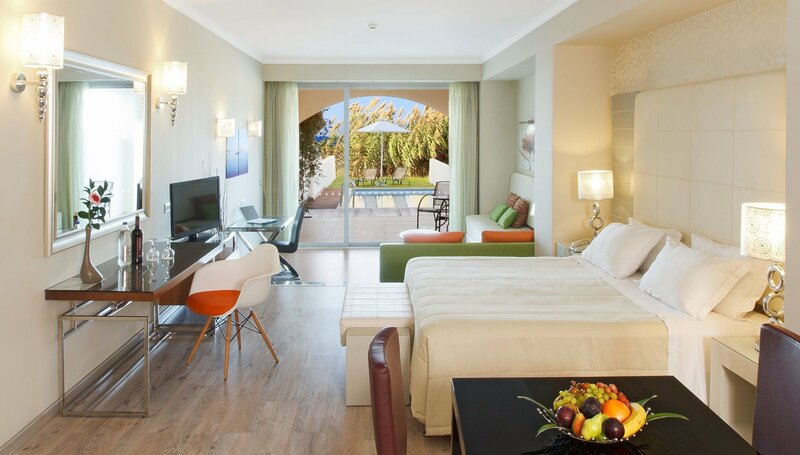 Adorned with lavish amenities and comforts, the Deluxe Rhodes suite with pool of Atrium Platinum hotel in Ixia Bay features an open plan living space of 52 square meters that can beautifully accommodate up to 4 guests. Fitted with quality furnishings and modern conveniences this Rhodes side sea view suite comes complete with its private heated pool where guests can enjoy a refreshing dip as they gaze at the endless azure. Offering an amazing collection of some of the best luxury suites in Rhodes Island in Greece, the Atrium Platinum hotel elevates the standard of excellence while bringing together the qualities of a fine city hotel and a top resort. 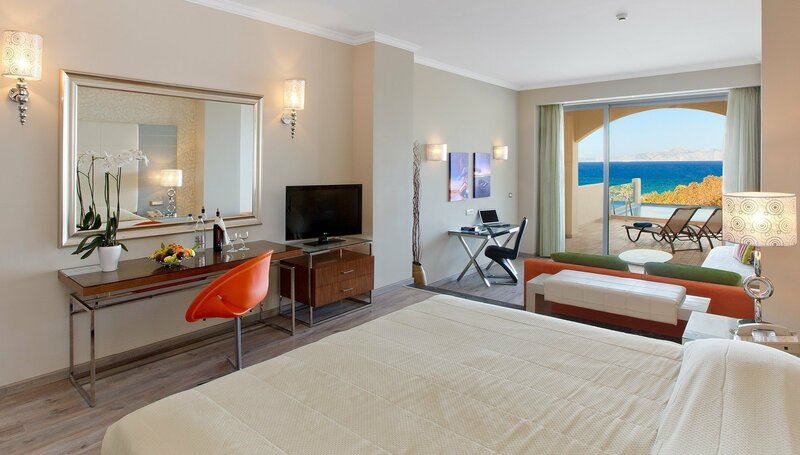 Travelers wishing to enjoy the best accommodation experience are welcome to choose for their stay a Deluxe Rhodes side sea view suite or a luxury room in Rhodes and surrender to the pleasures of pure relaxation and indulgence at their own Rhodes suite with pool right on the beach.